Sterling silver, Turquoise, and Apple Coral. 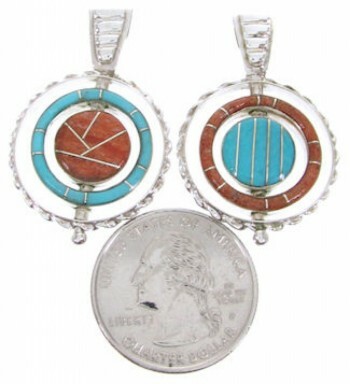 Post earrings measure approximately 1-1/2" long and 1" at widest point. If you are looking for elegance and beauty, you have found it! This piece of jewelry is crafted out of genuine sterling silver and real Turquoise and Apple Coral inlay. The earrings are reversible, it can be worn on either side, one side being Turquoise and the other side being Apple Coral (it's like having two pair of earrings in one). 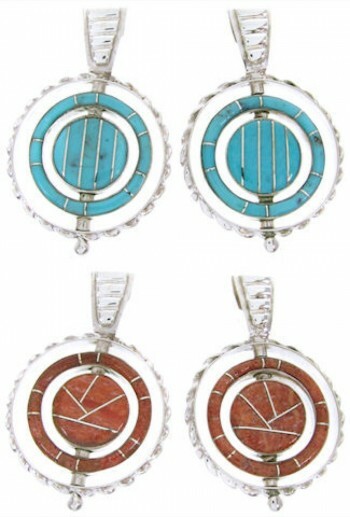 The inlay is carefully set, while creating a stunning design. 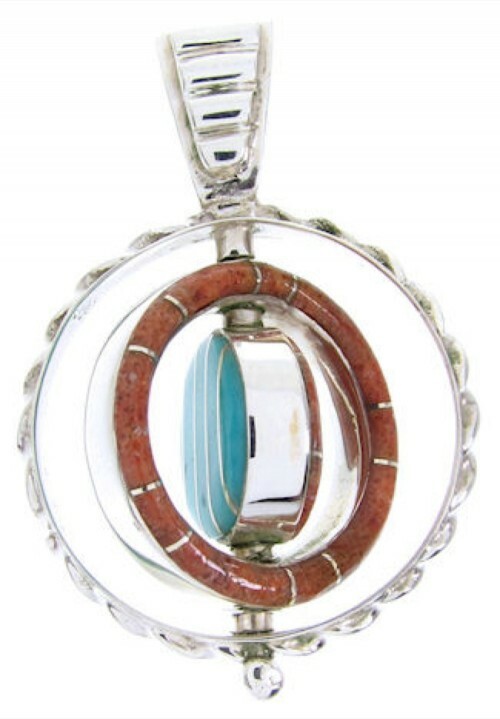 Thin silver lines can be seen accenting in between the inlay adding style. 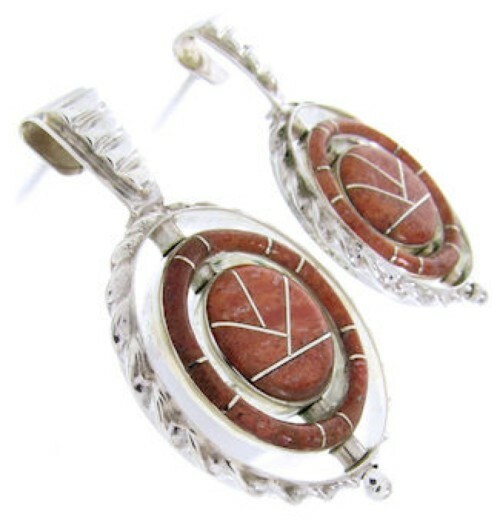 Twisted silver and stamped designs can also be seen accenting the earrings for a perfect finish. The earrings are stamped sterling and hallmarked.